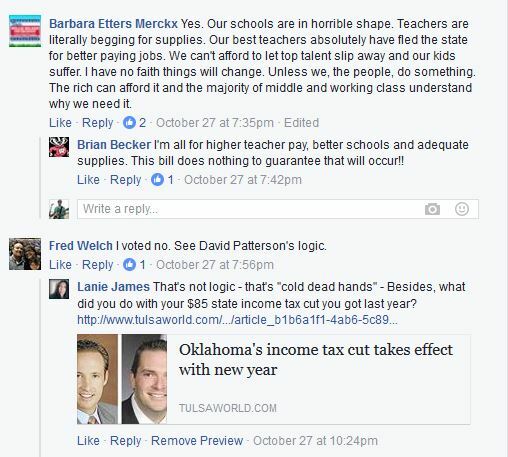 SQ-779: An Educated Decision – oklagator…one man, many things. Education. Politics. Tax. Three subjects that individually can spur heightened emotions, forceful opinions, and visceral reactions. This election season, the State of Oklahoma has combined all three in a controversial ballot measure that has been submitted to a vote of the people who are disgusted that it has been put in their hands. Never not a hot-button topic over the past 50-plus years, from desegregation to the recent birth and spread of charter schools, the now universally deplored state of public education in Oklahoma has reached critical mass in 2016. Multiple bond issues across numerous school districts have failed to pass, leaving desperately needed millage on the sidelines. Spawned by two years of plummeting oil and gas prices, revenue deposits into the still-anachronistic, commodity-dependent state coffers are woefully short of target, resulting in devastating appropriation cuts for all levels of education. Important programs – art, music, athletics, extracurriculars, and more are being discontinued in schools throughout Oklahoma. 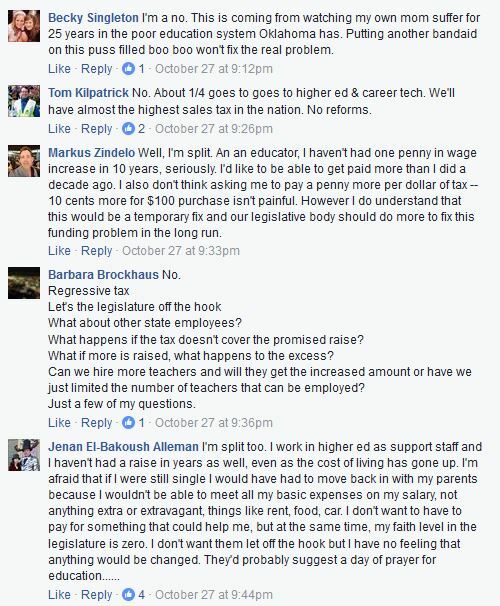 Worse, teachers are leaving for higher salaries in other states (or exiting the profession altogether) in droves because they literally can no longer justify the noble, tireless work for the inadequate wage. 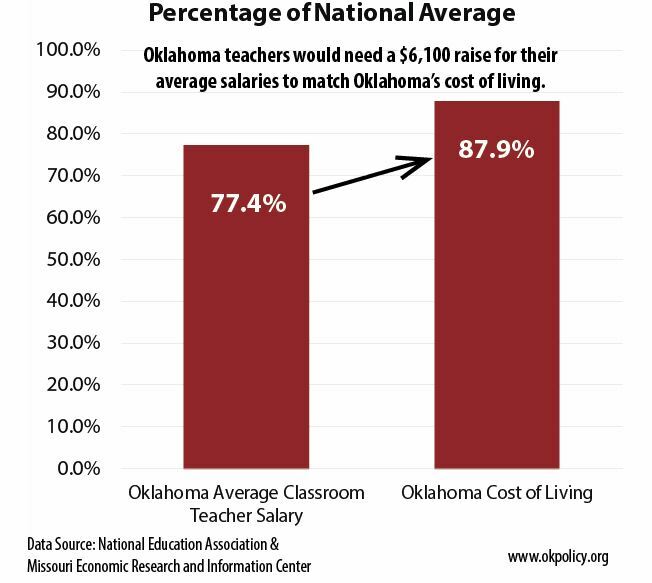 Oklahoma ranks 48th out of 50 states in average classroom teacher pay, and the level has declined by over $7,500, adjusting for inflation, since 2009. The most recent data from the Missouri Economic Research and Information Center shows that Oklahoma’s cost of living is 87.9 percent of the national average, yet the state’s average classroom teacher pay in 2015-2016 ($44,921) was just 77.4 percent of the national average classroom teacher salary ($58,064). Oklahoma teachers have not received an across-the-board pay raise in a decade. A proposal for one was brought to a vote in the state legislature during the most recent session. It died. Previous efforts in consecutive years to increase funding for common education and raise teacher pay through the legislative process have failed. 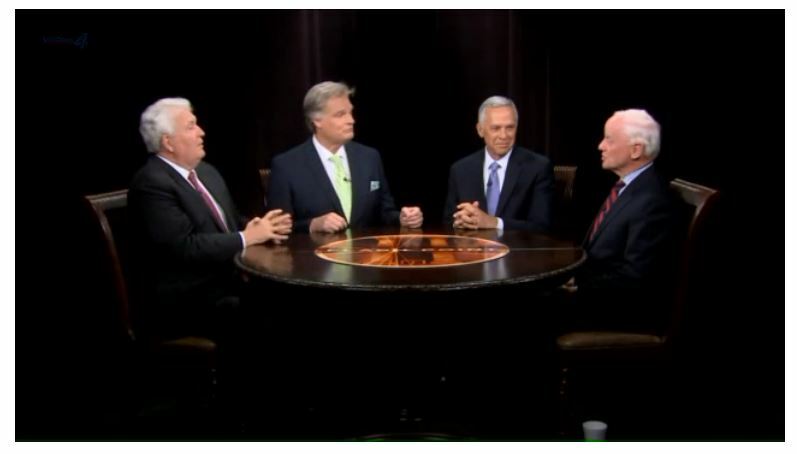 In 2014 and 2015 State Representative Lee Denney (R-Cushing) and State Senator Jim Halligan (R-Stillwater) teamed with educators to establish a plan to fund Common Education exactly as the state funds Transportation. Despite large rallies at the Capitol, the effort failed. In 2015 Superintendent Joy Hofmeister proposed the #OKHigh5 plan to extend the school year and provide teachers a $5,000 raise. State legislative leaders said no. 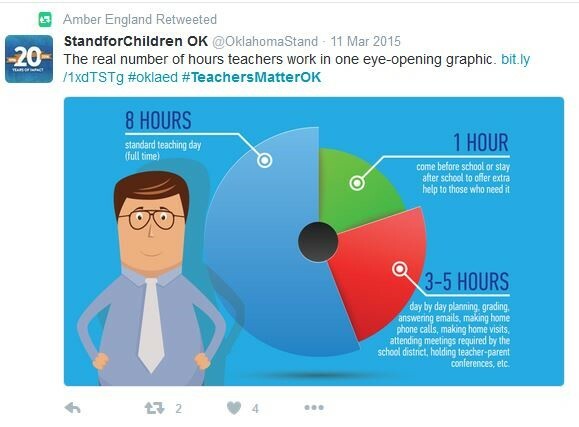 The grassroots movement began with a push on social media to highlight Oklahoma educators who go above and beyond to help their students. It also led to the creation of one of the most controversial state questions on the ballot this November. 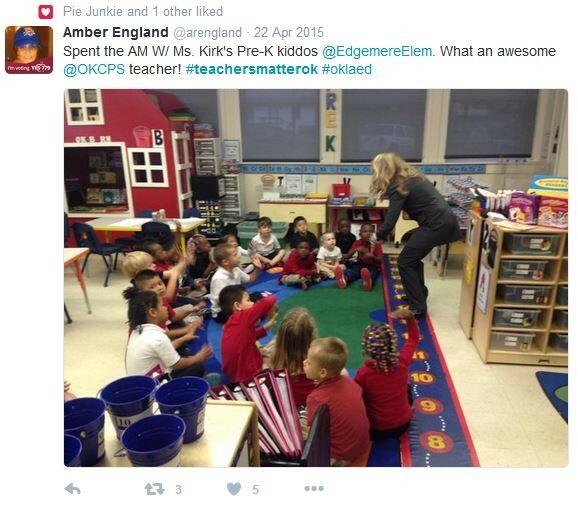 In May of 2013, during national Teacher Appreciation Week, the advocacy group Stand for Children Oklahoma encouraged teachers, parents, and communities to write messages of thanks and comment about education on social media using the hashtag #TeachersMatterOK. The notes of gratitude came. 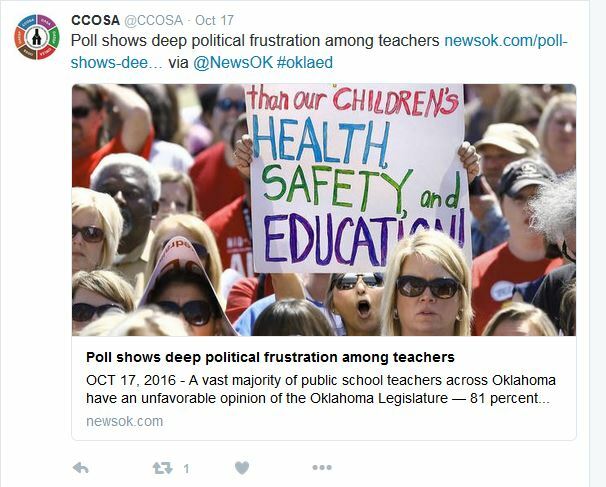 So did words of dissatisfaction and concern for education in Oklahoma. 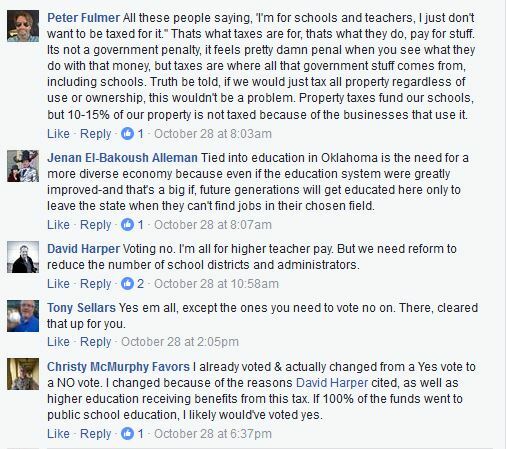 Scores of educators vented their frustrations at having inadequate resources to properly teach their students, low pay, and Oklahoma’s overall poor support of public education. The feedback prompted Stand for Children Oklahoma to conduct a listening tour, visiting teachers throughout state to discuss education reforms, curriculum, standardized testing, teacher evaluations, political engagement, and education funding. 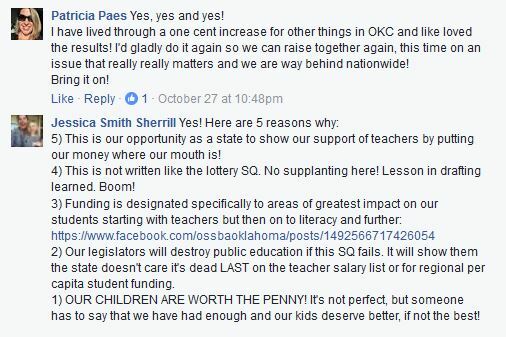 Copious, passionate teacher response led to the creation of another advocacy group, Oklahoma’s Children, Our Future, which proposed amending the state constitution to create the Education Improvement Fund through an initiative petition. The effort was spearheaded by David Boren, a popular former Oklahoma Governor, later Senator, and current president of the University of Oklahoma. 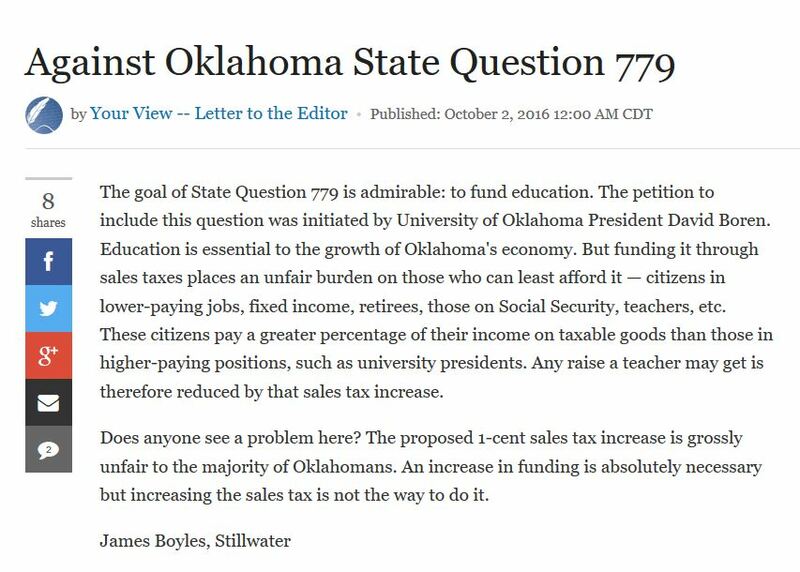 The innocuously titled State Question 779 was born. It would also require an increase in teacher salaries of at least $5,000 and mandate annual audits of school districts’ use of the revenue. Oklahoma’s statewide sales tax in 2016 is 4.5 percent. SQ-779 would increase that tax to 5.5 percent. Localities in Oklahoma are permitted an additional sales tax. The highest additional local sales tax imposed by an individual locality in 2016 is 5.5 percent. 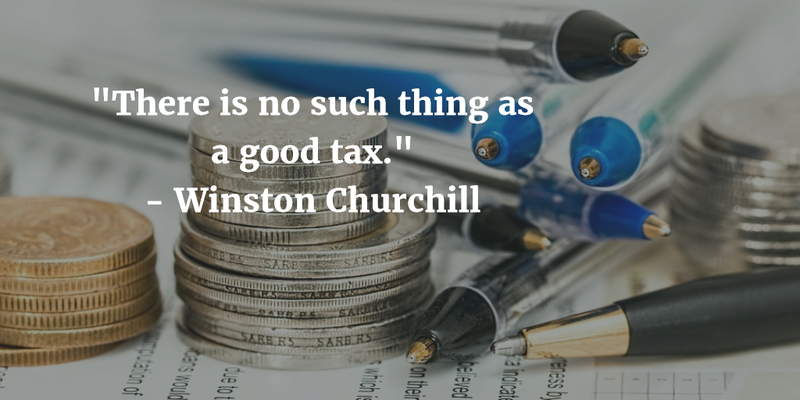 Therefore, common commerce taking place in any municipality with that local sales tax level would be subject to a total ad valorum rate of 11-percent. 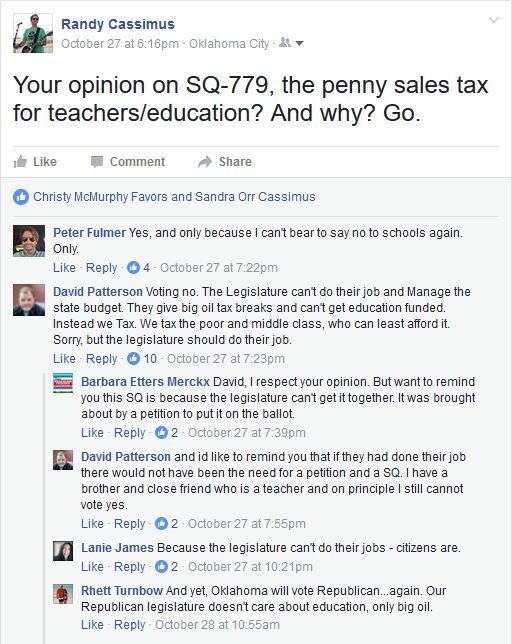 Supporters of SQ-779 are frustrated with legislative failures to properly fund public education in the state. They believe no help is coming from the state capitol anytime soon, and the situation is desperate NOW. Teacher shortages have reached emergency levels. 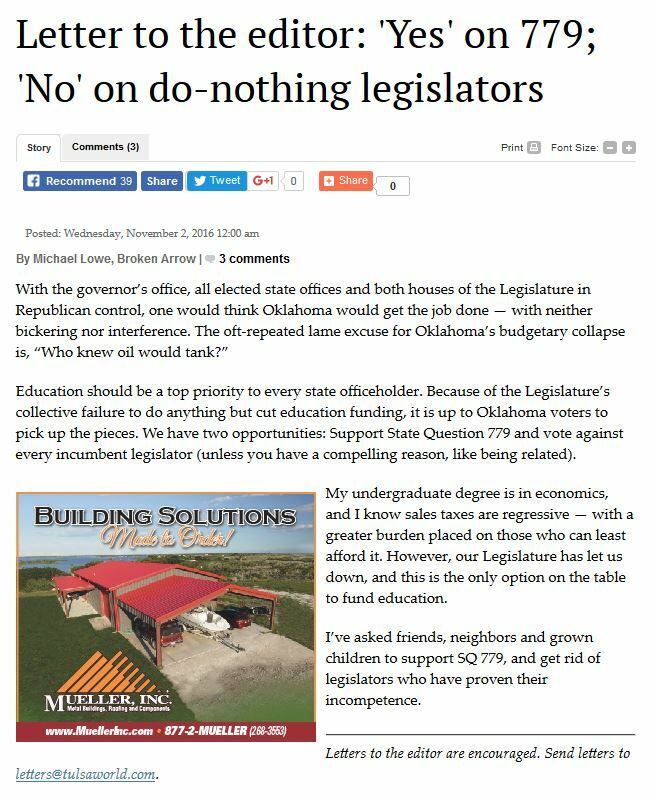 Failure to fund education is a looming disaster for Oklahoma’s economy. Business leaders do not want to come to a state that won’t pay to educate the workforce. 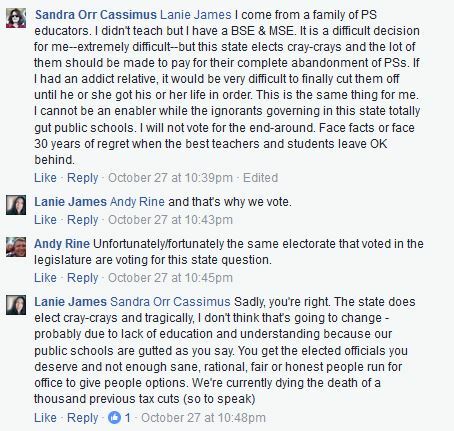 They also don’t want to put their own children in underfunded schools…While SQ 779 will not fix everything, it will stop the destruction of public education in our state. Our children are worth the penny. The next generation is watching us. If we fail to act, they can go elsewhere to start their families and their careers where they could find a good quality of life and well-financed schools for their children to attend. We must not lose the best and brightest from our state. It’s up to us to make sure that good schools are here for all of Oklahoma’s children. We are given only one chance to educate our children. There is no second chance. Together, let’s pass State Question 779. Today our public schools operate on $225.60 less per funded student than they did in 2009. Each year since 2010 the state has been unable to restore state-appropriated funds to school districts through the funding formula to pre-recession levels. Over that seven-year period, our schools have lost more than $1.3 billion in state-appropriated financial support…SQ 779 provides needed investment in priority areas to improve reading, high school graduation rates, and college and career readiness. Funding for education has been eroded by legislative cuts. Oklahoma’s state budget is in terrible shape because cuts to the income tax rate and the economic downturn. The only way to give education more money will be to identify another funding source. The state-wide penny sales tax provides that source. 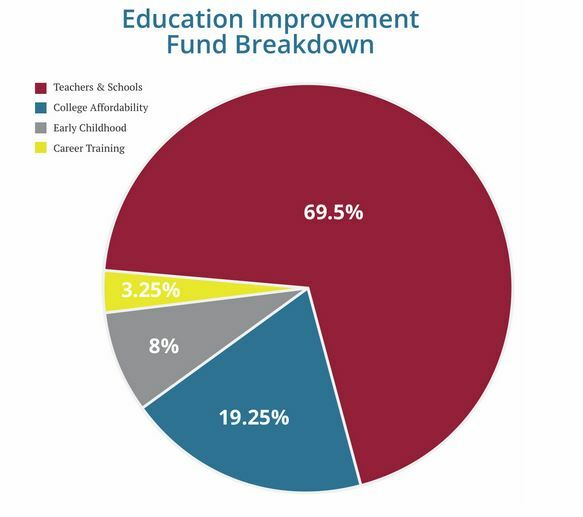 State Question 779 is a comprehensive funding solution that addresses more than teacher pay. If passed by voters, the state would invest in proven strategies to influence student learning, reading comprehension and high school graduation rates. 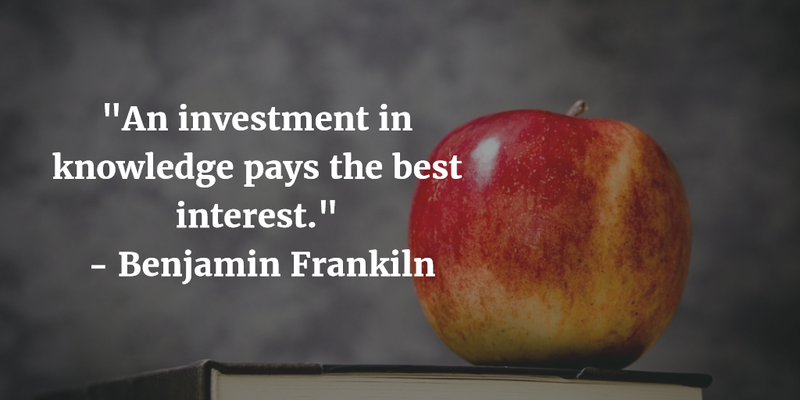 The fund addresses college affordability and expanding CareerTech opportunities. 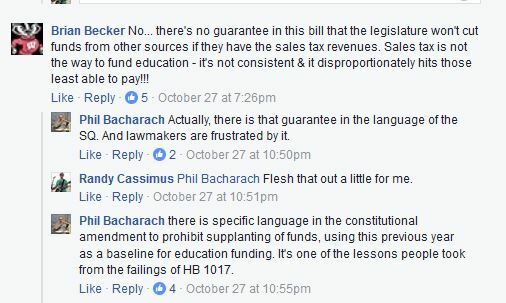 Those opposing passage of the measure are ALSO frustrated with legislative failures to properly fund public education in the state. They, however, believe that leaders should have their feet held to the fire to do their jobs correctly and fund public education via the means at their disposal. 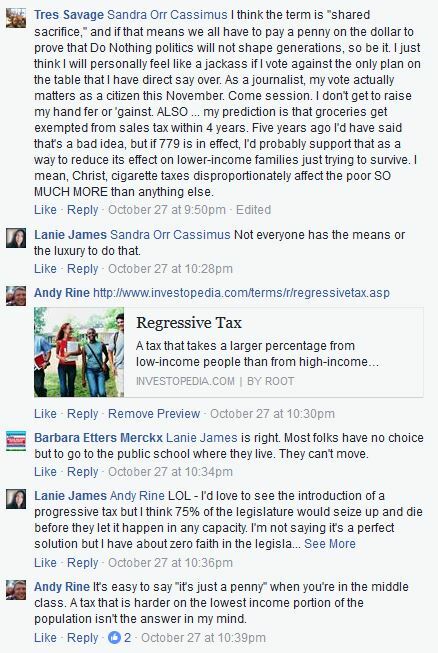 They cite the regressive nature of sales taxes which disproportionately hurt the poor. 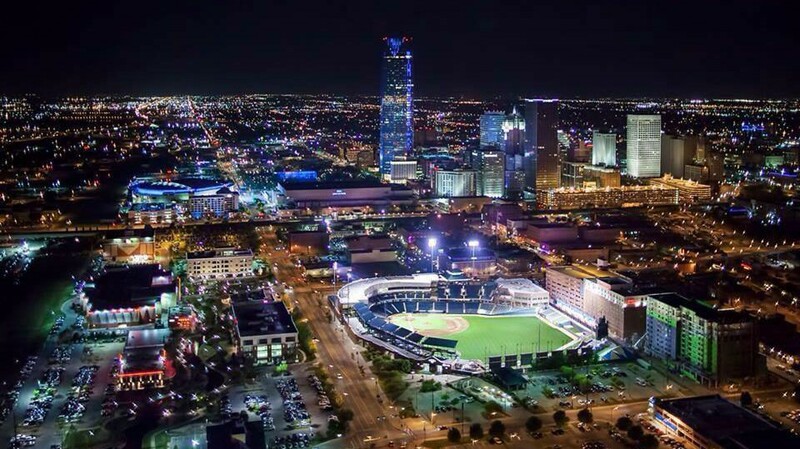 Additionally, many opponents voice concern that a series of wildly successful temporary sales tax measures (MAPS) which have been a boon to Oklahoma City will be a thing of the past. 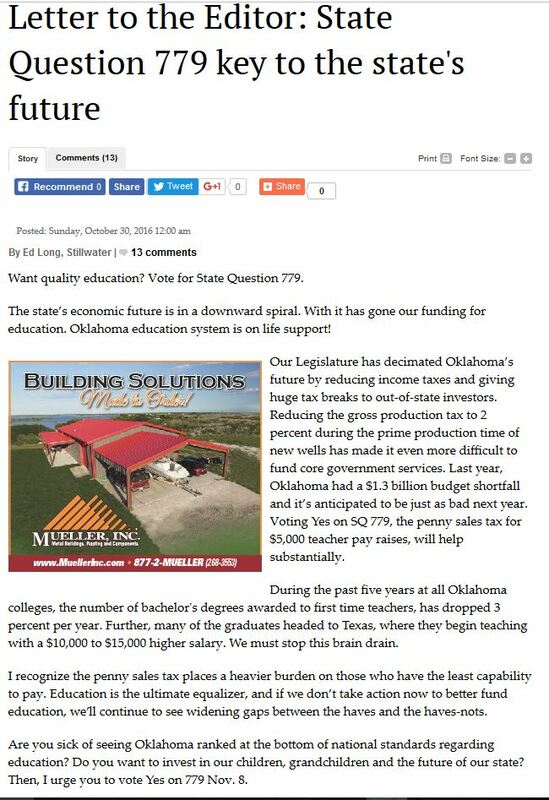 State Question 779 is an attempt to rescue the Oklahoma state legislature from its neglect. I can see it no other way. 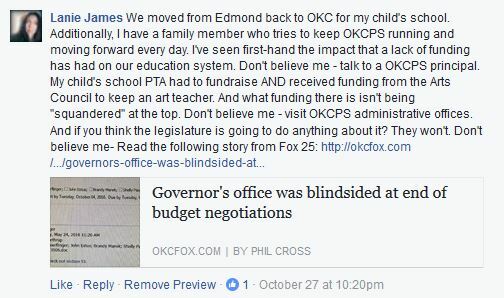 It is a mere Band-Aid applied to a gaping wound that has festered for decades, bleeding money and resources from institutions that support our state’s children and the future they represent… When I think about voting “yes,” it is only because I am loath to deny teachers a deserved pay raise, but it will feel like a Faustian bargain. Oklahoma is the only state in the United States where cities and towns are limited to sales taxes to fund our General Fund. The General Fund is critical to cities as the source of funding for many services including police, fire, emergency management, parks, and street maintenance. I consider this initiative an attack on the limited revenues available to cities. Burdening citizens with one of the nation’s highest sales tax rates will destroy retail businesses, put scores out of work and cripple our cities’ capacity to finance public services. Now, there’s something to get angry about. The biggest fear is cities and towns not having the ability to pass a sales tax for some much-needed project, something like a water project or something that is important for all citizens. If you’re already at 10-plus percent (sales tax), voters are probably not going to be very excited about passing another penny or half-cent tax, whatever it may be. And the thing I hear, time and again, is that there’s other state workers who’d love to get a pay raise, too. But are you going to have to pass another penny to get the DHS workers a pay raise? 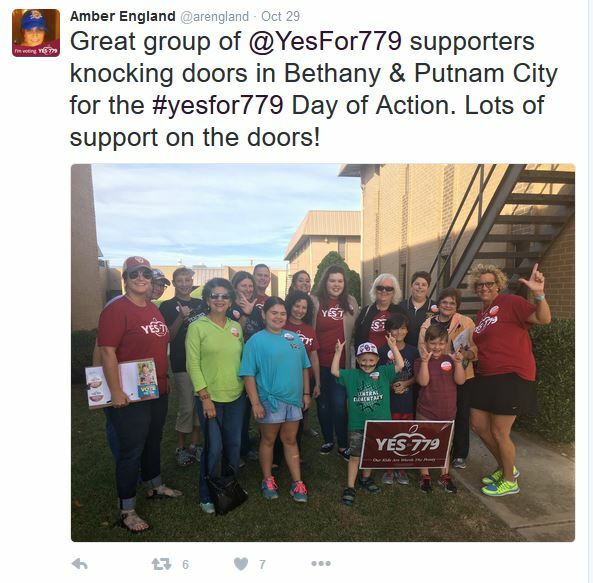 Between experts, pundits, and average concerned citizens, the debate over SQ-779 has played out over both traditional and social media. And, naturally, the local snarky humor blog may have encapsulated the entire situation. 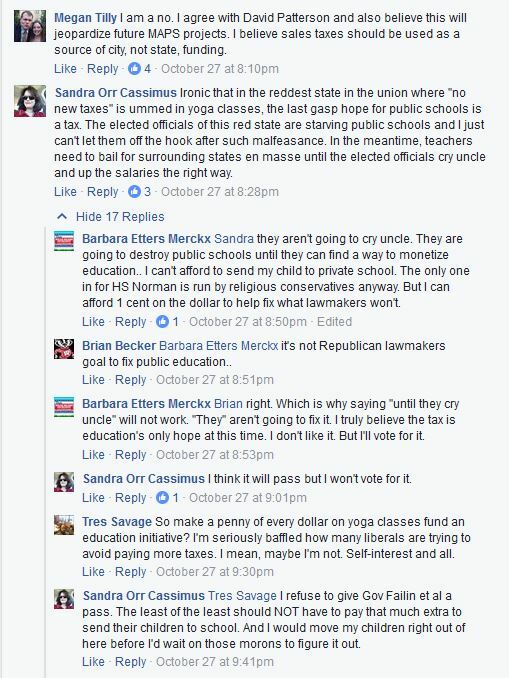 Ultimately, we have in Oklahoma two partisan groups on different sides of an issue who share a large swath of common ground. Both Pro-779 and Anti-779 factions point fingers squarely at the state legislature which has failed so badly at performing its duties that the question of education funding has come before the people for a vote. Neither side believes that should be happening. And, regardless of outcome, something bad will result. The genus of the campaign sprung from social media. Endless partisan pontification has been proffered over social media. 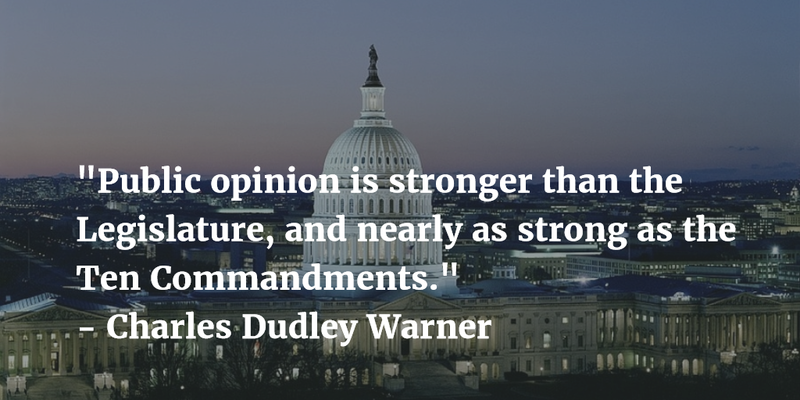 Heated, though healthy, public debate has played out over social media. 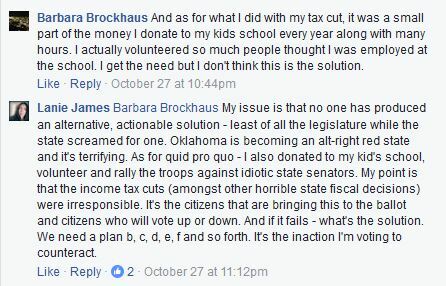 In the end, the epilogue will be cobbled, refashioned, and challenged over social media, likely for years, as the effects of the vote come to fruition and have their impact on the citizens of Oklahoma. All of them. On Tuesday, November 8th, State Question 779 failed 852,641 (59%) to 582,505 (41%) in a vote of the people. 100% of incumbent state legislators up for re-election won their races and will return to the state capitol for another term.